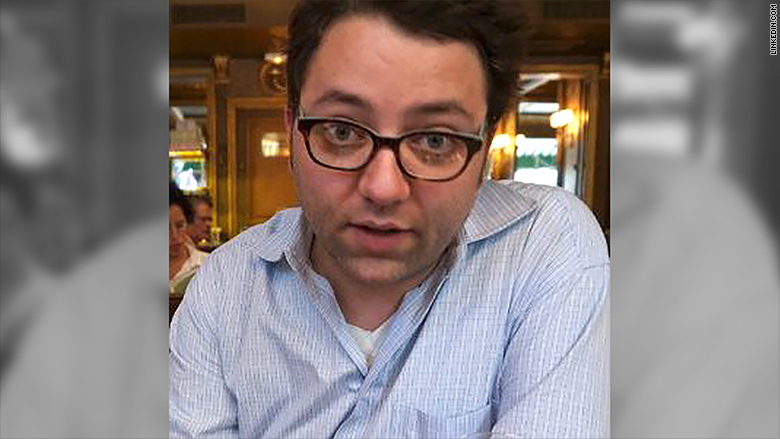 Gabriel Snyder, the editor-in-chief at the New Republic who joined the magazine amid internal turmoil, is leaving his post. In a memo to staff on Thursday, Snyder said that the June issue will be his last. "Though I'm sad to depart, I am immensely proud of our accomplishments over the last 17 months," Snyder said. Snyder took over at the New Republic in 2014 in a shakeup that prompted an exodus from the storied liberal magazine. He replaced Franklin Foer when the New Republic's then-owner, Facebook co-founder Chris Hughes, tried to reshape the century-old publication into a more digital-focused news company. The New Republic underwent a redesign, and shifted from a bi-weekly to a monthly publication. Hughes also moved the magazine's headquarters from Washington, D.C., to New York. Snyder, meanwhile, acquired the personnel to help execute the new vision, hiring a number of popular internet writers and others with experience in online media. But the magazine experienced more upheaval at the beginning of the year when Hughes announced that he was putting it up for sale. Hughes said he had invested more than $20 million to help the transition, but reached the conclusion "that it is time for new leadership and vision at The New Republic." In February, Hughes sold the magazine to Oregon-based publisher Win McCormack. McCormack tapped Hamilton Fish, the former publisher of the Nation, to serve as the New Republic's editorial director. The change of ownership came at a moment when the New Republic was enjoying a surge in web traffic. The website drew 2.1 million unique visitors in January, according to comScore, up from 1.4 million the year before. In February, the website had 2.7 million visitors, its highest total since November of 2014. But the changes at the top augured Snyder's departure. "I think everyone understood that it made sense for me to step aside and to let new editorial leadership come on," Snyder told CNNMoney. "New owners have new vision, so it will be exciting to see what they have in store." Although he said the decision was mutual, Snyder, 39, sounded melancholy as he looked ahead to his exit. "I'm sad because I couldn't be more proud of the team of editors and writers and everyone else I've been working with," he said. "I think the work we put out had just been getting better and better as each month went by." "I'll regard this last year as the highlight of my career," he added. Snyder, a former editor at Gawker who also had stints at Bloomberg and the Atlantic, said he isn't sure where he will head next. In a memo sent to staff on Thursday, Fish said the magazine has "a brighter future" thanks to Snyder's contributions. "In addition to bringing many of the talented editors and writers we have on staff today, Gabriel has put his distinctive mark on what a political and cultural institution looks like in 2016," Fish said. In his own memo, which was provided to CNNMoney, Snyder celebrated the staff he helped assemble. "We built an editorial team composed of new voices reflective of the breadth of American experience. You have announced a new generation, committed to the highest standards of journalism," he said. "We demonstrated how digital fluency can amplify our best literary traditions rather than compete with them. We participated in and shaped discussions of vital issues during a crucial election year. Mostly, though, we published some damn fine work, sometimes under difficult circumstances. Every single day, your indomitable talent and work ethic has humbled me."